Thelma L. Channon is a passionate residential real estate broker licensed in the state of Washington with more than 17 years of award-winning performance in real estate sales and community relations. With more than $250 million in personal career sales, she has proven to be an expert in her field. 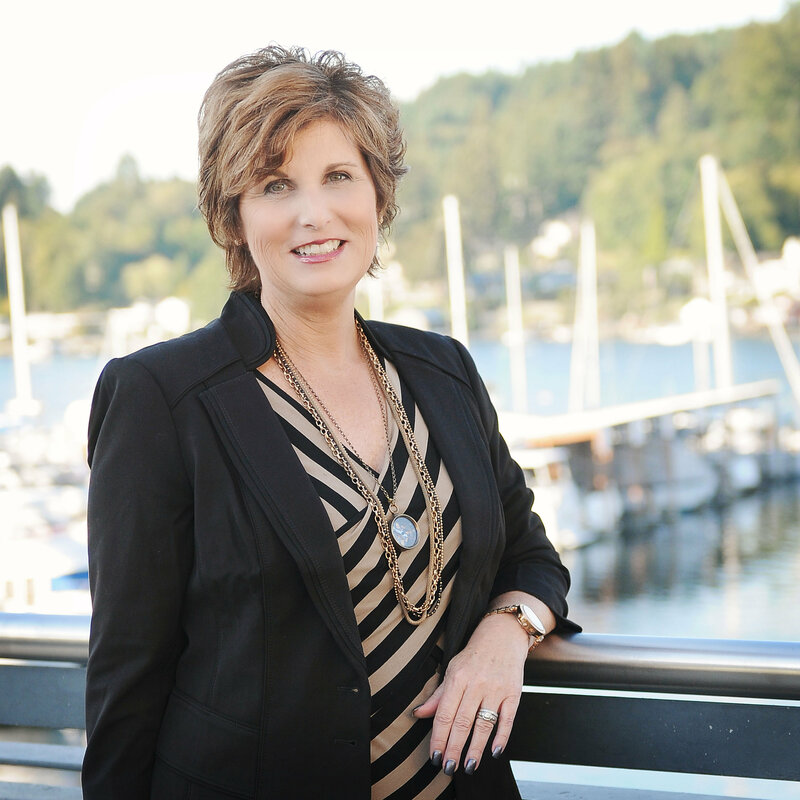 Along with receiving many notable broker awards she was ranked as Gig Harbor’s number one agent in sales volume consecutively from 2012-2014. Thelma and her team’s concierge style “Big on TLC” approach of customer care and service includes staging and re-imaging listings and the ability to present, listen, gain the selling trust of her listings and negotiate on behalf of her sellers and buyers. Thelma’s alliance with Morrison House Sotheby’s International Realty in Gig Harbor offers unparalleled marketing platforms. Working together with the power of the Sotheby’s brand sets the stage to market your properties to a global network. Thelma and the TLC team proudly represent all property types and price points knowing that what matters most is the goal of her clients. Thelma has been married for 33 years and spent the last 25 years living in the community of Canterwood Golf & Country Club, in Gig Harbor, Washington. In addition to family and real estate, what Thelma is equally passionate about is giving back to her community through service and fundraising. For the past five years she has taken a lead role in the fundraising efforts for the Gig Harbor branch of the Boys & Girls Club. Another community effort that she supports and raises awareness is for The Race for a Soldier half Marathon that offers support services for local soldiers and their families treating PTSD. Thelma’s unique marketing approach and dedication to her clients strives to meet and exceed your expectations with TLC results.